Please note this is NOT at the BDC. Please note viewers will need to sign in and bring a photo ID for admittance to the exhibition. 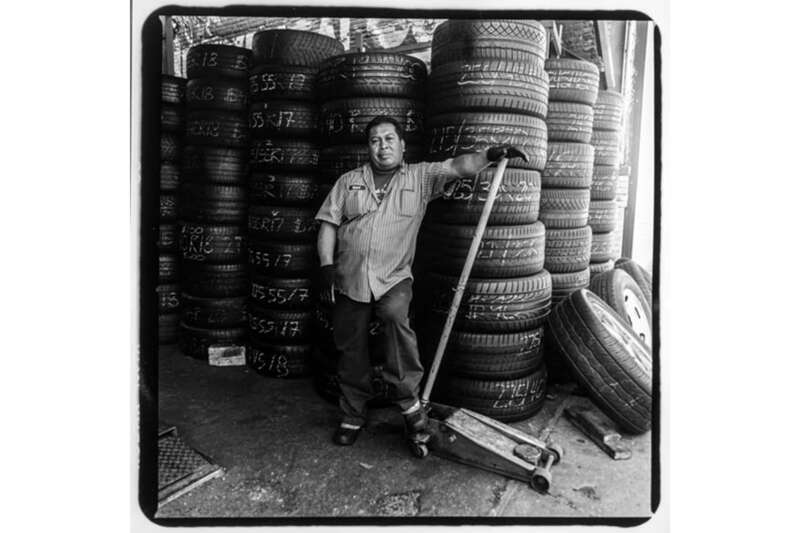 This exhibition documents and celebrates the workers and trades people of Jerome Avenue, one of New York City’s few remaining working class neighborhoods where many still make a living in small shops and factories, or repairing auto-mobiles. The city is considering a plan to rezone two miles along Jerome Ave: speculation and rising rents are already evident. If passed, the rezoning will lead to construction of housing units, but also, many believe, to the end of a proud culture of industry and work in this last bastion of New York City’s working class. The Bronx Photo League (BPL), a project of the Bronx Documentary Center, is made up of 16 Bronx photographers committed to documenting social issues and change in our borough. The portraits in this show were shot on Kodak Tri-X negative film with Hasselblad cameras and lenses. Authentic silver gelatin darkroom prints will be on display. Members of the Bronx Photo League will be in attendance as well as the portrait subjects and their families.